Meike have announced a new 50mm f/1.7 lens. Meike has announced a new 50mm f/1.7 aperture lens for mirrorless cameras. The new lens will be available for Sony FE, Canon EF-M, Nikon 1, Fujifilm X and Micro Four Thirds cameras. It will be fully manual and has a minimum focus distance of 0.5m. The lens is comprised of 12 diaphragm blades and has a 0.11x magnification ratio. The lens is set to be available in mid-March. 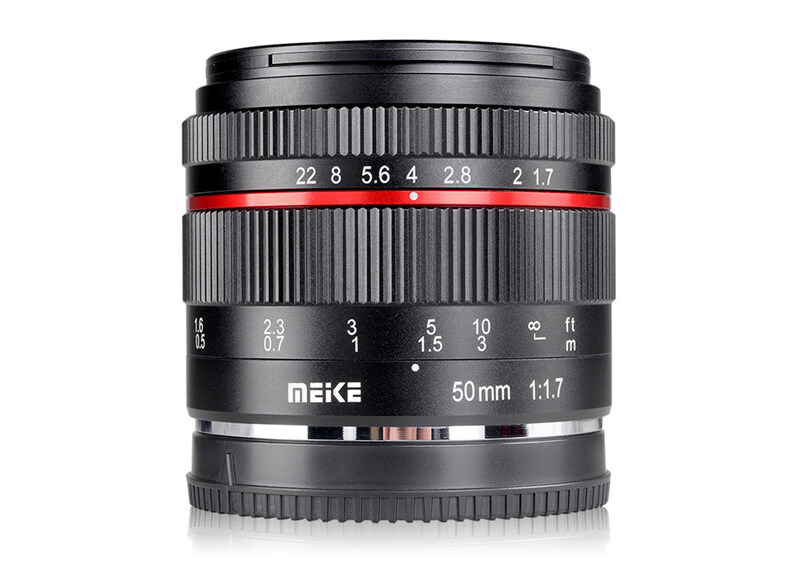 ePz has previously reviewed the Meike 50mm f/2.0 lens. i will be interested to see the price. looks good. Wow a Meike mini micro43 macro lens 0.5mm min focus. It can focus on the back of its own lens cap in the dark. I made a short video review (without any professional claim of course) of 50mm f / 2.0. I took advantage of the opening of the municipal rose garden in Rome. I also took the 28mm f / 2.8 always at a price of less than 100 euros.